Insulation has seen significant technological improvements over the past several decades. Insulating various areas of your home can increase your comfort throughout the year while also lowering your monthly utility bills. Read on to learn more about why you should invest in energy-efficient insulation, and get in touch with our friendly insulation contractors today to schedule a no-obligation energy assessment for your home! To understand why energy-efficient insulation is important, we’ll need to understand how insulation works in general. There are three main elements involved in heat flow: conduction, convection, and radiation. Conduction: The process of conduction transfers heat directly through a substance. You’ve experienced conduction if you’ve ever left a spoon in a hot cup of coffee or tea and discovered that the handle became hot in a matter of minutes. Convection: You’ve probably heard the expression, “Hot air rises.” This statement is a description of how convection works with respect to air temperatures, and the same principle applies to other gases and liquids. Radiation: Radiant heat travels in a direct line from a heat source to the surrounding areas. Think about the way in which an electric stove top radiates heat into the air around it. We’re in a position to understand how insulation works now that we understand the basics of heat flow. The primary purpose of insulation is to slow the process of conductive and convective heat flow. While you can find and install radiant heat barriers to prevent your home from warming through the heat of the sun, energy-efficient insulation is a much more common solution. As we noted above, you’ve probably become used to the top floor of your home being much warmer than the basement, and this is because warm air has the tendency to rise until an equilibrium is reached. In the summer, the radiant heat from the sun increases the temperature inside your home and must be offset by your cooling system. In the winter, the heat your home loses must be replaced by your heating system. By now, you’re probably noticing a connection between heat transfer and your heating and cooling system. The more easily your home loses hot and cold air, the more energy your heating and cooling system will utilize to maintain a stable temperature. Installing energy-efficient insulation slows the process of heat loss and gain, helping you maintain a stable temperature throughout your home and lowering the amount of energy used by your heating and cooling system. In the average household, roughly 56 percent of the total energy usage goes toward heating and cooling. Energy is lost through cracks, holes, your home’s roof, walls, and other areas, and investing in energy-efficient insulation is the best way to prevent this problem from raising your utility bills. In fact, the United States Department of Energy estimates that you can save up to 20 percent on your monthly heating and cooling bills by properly insulating your home! As Colorado residents ourselves, we’re no strangers to the dynamic climate of our state. Coloradans need effective heating during the winter and refreshing, cool air during the heat of the summer. Our talented insulation contractors will come to your home and perform an efficiency assessment which pinpoints any areas where your home is losing energy. We’ll then make a recommendation based on your specific needs. 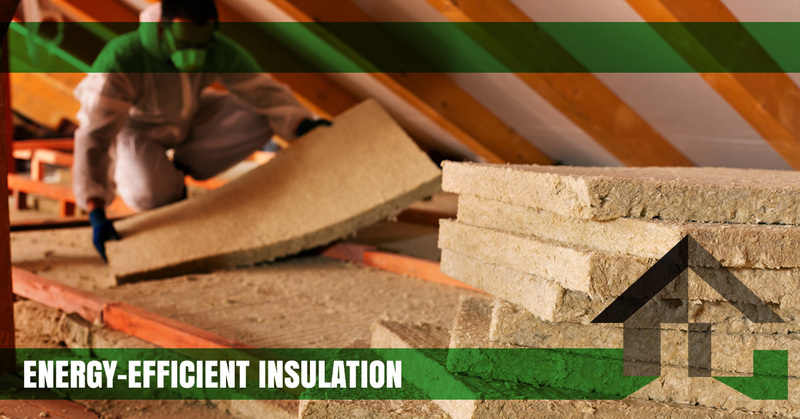 Whether you need energy-efficient insulation in just one room or your home could use new insulation in the walls, crawl space, and attic, we’ll provide you with everything you need to know in order to make a smart and informed decision. Are you ready to get started with an insulation installation? Contact Insulation Pros of Colorado for an energy-efficient insulation estimate!